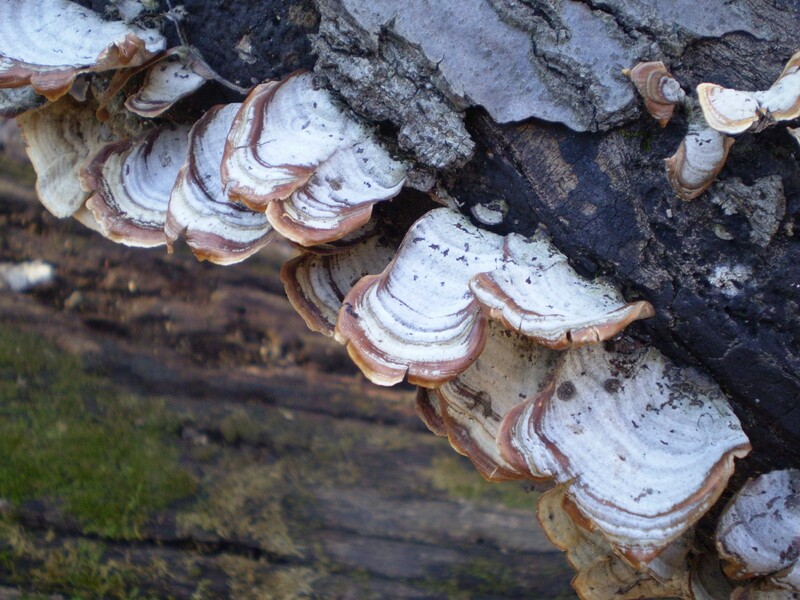 As a specialist in oak woodland flora and fauna, my goal is to restore McDonald Woods, a 100-acre oak woodland complex, using a number of methods. 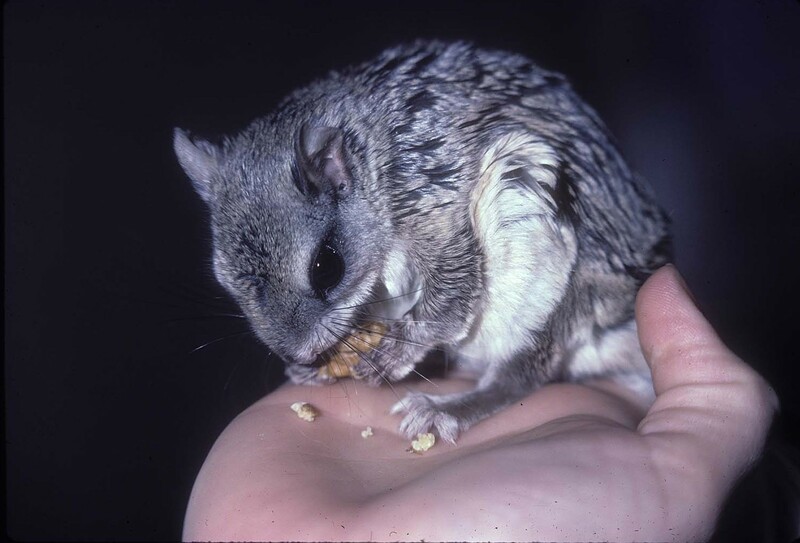 Through the removal of invasive species, the collection and sowing of seeds from appropriate local native species, the maintenance of nursery populations for seed production, the monitoring of floral and faunal populations and the use of controlled burning, I am striving to increase species diversity and develop a healthier functioning ecosystem. Utilizing my ornithological background, I maintain bird-nesting structures throughout the Chicago Botanic Garden, use bird bands to mark selected species of breeding birds at the Garden, and oversee a cumulative bird list. While working out in the woods this winter, a small lump on the branch of a young elm tree caught my attention. At first I thought it might be a gall, or an injury that had healed-over. On closer inspection, the lump turned out to be a ruby-throated hummingbird nest from last summer. Although I see hummingbirds regularly at the Chicago Botanic Garden, I rarely encounter one of their nests. Hummingbirds themselves are amazing, but their nests are truly a marvel of avian architecture. 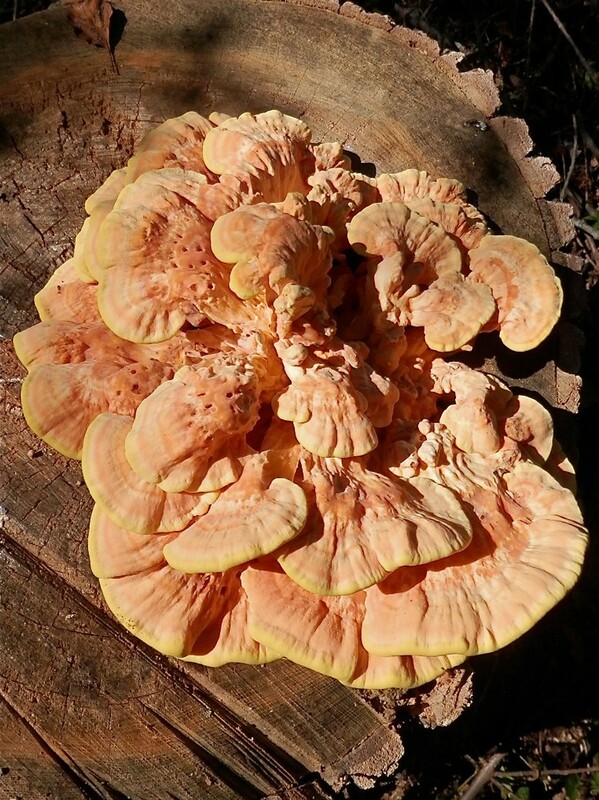 Not much larger in diameter than a quarter, they are just large enough to hold the one to three navy bean-sized eggs of the hummer. For the pint-sized bird to be able to keep the tiny eggs warm during incubation requires that the nest be not much larger than her body. 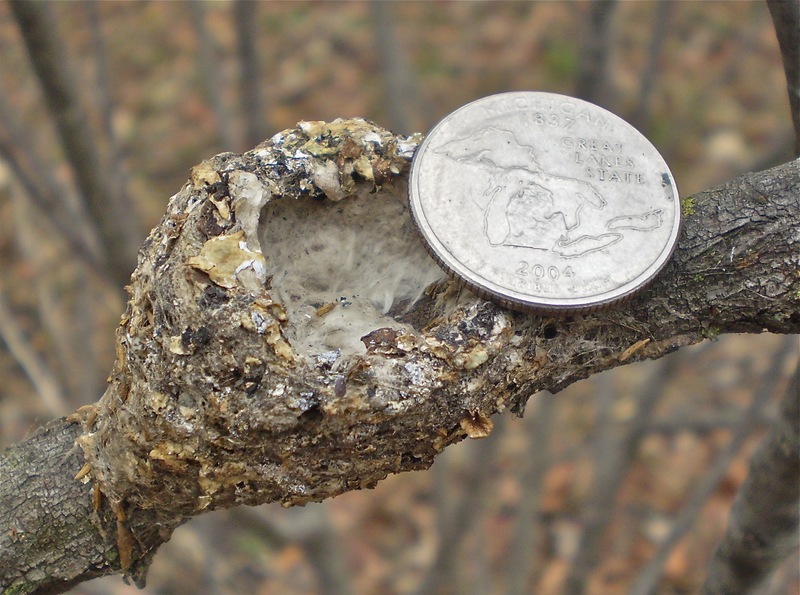 Not much larger than a quarter, the ruby-throated hummingbird nest is an engineering marvel. This is all well and good until the eggs hatch. Growing young hummingbirds can double or triple the amount of room necessary to hold the family. One of the ways the hummingbirds get around this need for flexibility is that they construct the nest of soft plant fibers and then wrap the whole thing with spiderweb silk. This creates an elastic nest that has the ability to expand as the contents of the nest increases. Can you imagine yourself going out and plucking a strand of sticky silk from a spider web with your fingers and then trying to use it to build something out of lightweight fuzzy plant fibers? I imagine you might find yourself wrapped up in a ball like some sort of oversized grotesque moth cocoon. 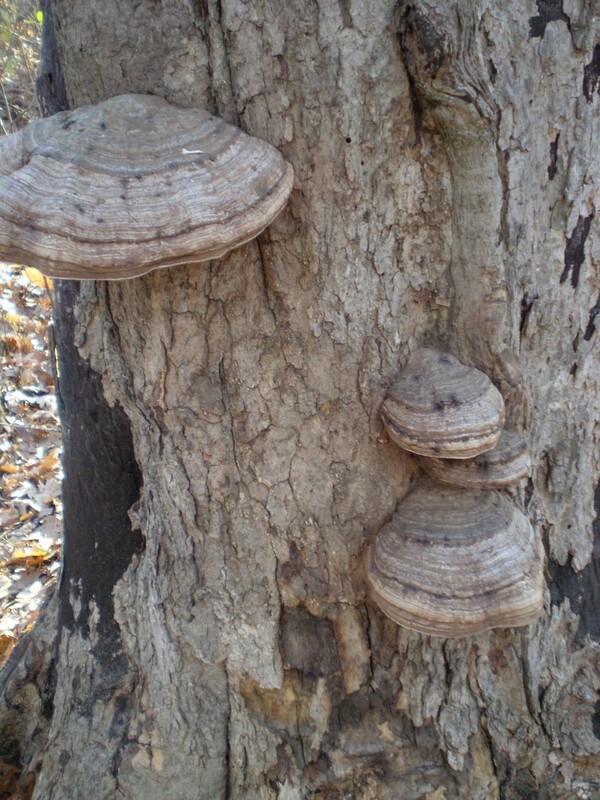 The silk also helps to anchor the nest to the top surface of a horizontal branch. 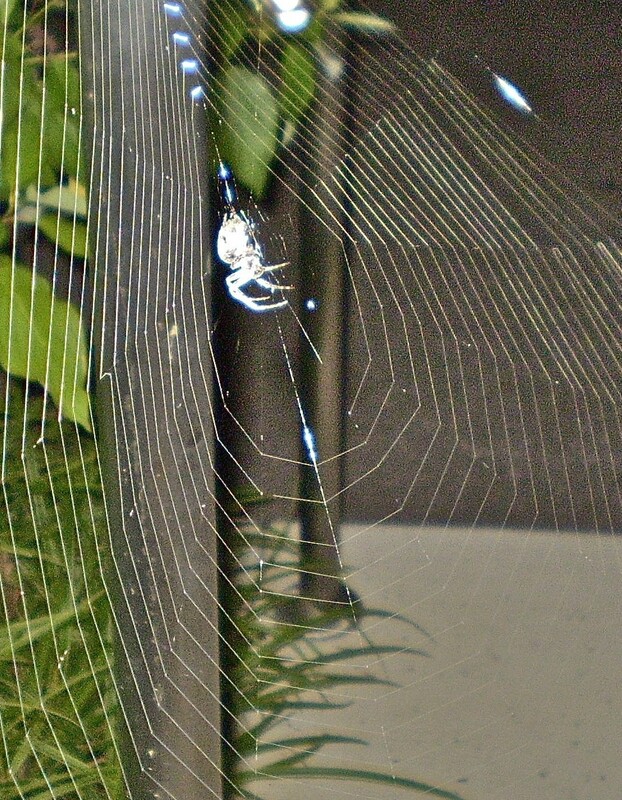 Spiderweb silk: the expandable nest liner preferred by hummingbirds. Keeping the nest just the right size as the need arises helps to keep the growing youngsters warm and secure. In the western states where several species of hummingbirds nest, often at higher elevations, it is not only important to keep the nestlings warm, but also the incubating female, especially at night. Therefore, it is often the case that hummingbirds in these colder situations will locate their nests on a limb with an overhanging branch acting as a sort of roof to help block the nest from the night sky. 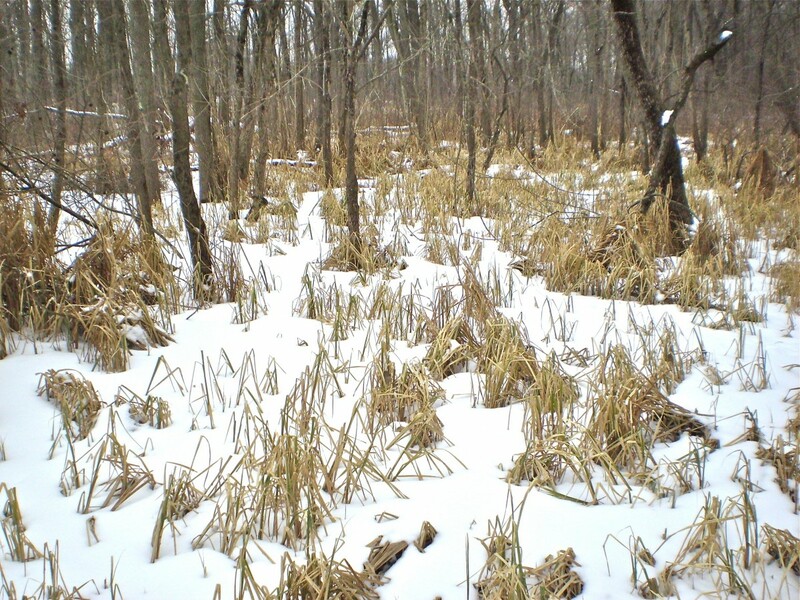 Although this measure helps reduce heat loss, it is often the case that nesting females will go into a state of torpor (reduced physiological activity to lower body temperature) in order to conserve energy on particularly cold nights. This is a principle of physics in which the larger the difference in temperature between objects, the faster the heat flows from the warmer one to the cooler one. Therefore, a hummingbird with a lower body temperature will lose heat more slowly than the one with a warmer body. As I stated earlier, hummingbirds are amazing! 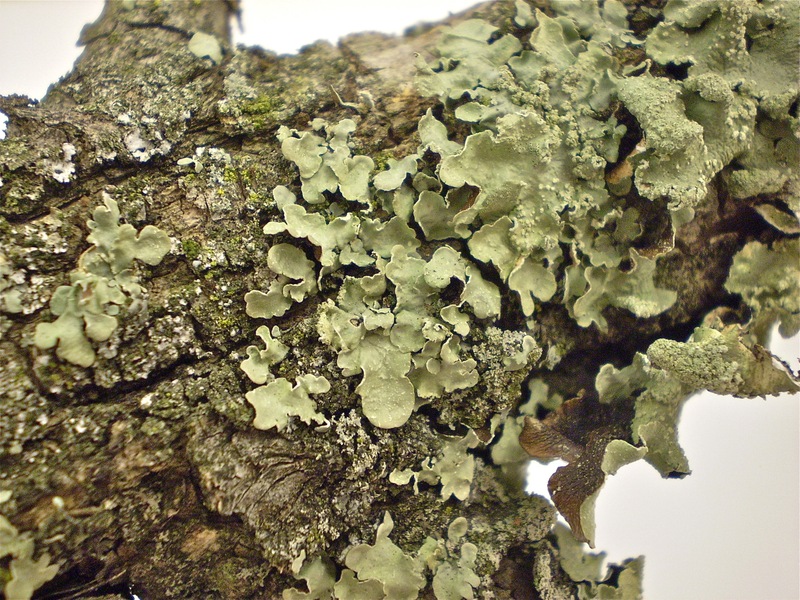 Parmelia sulcata, a common lichen, is used to help disguise the hummingbird’s nest. Part of the reason—besides size—I had not noticed the nest earlier is that the birds do a fantastic job of camouflaging it. This also relates to the spiderweb silk. Some or all of the silk used is sticky. Upon completion of nest construction, the birds collect bits of lichen and attach them to the sticky strands on the outside of the nest. 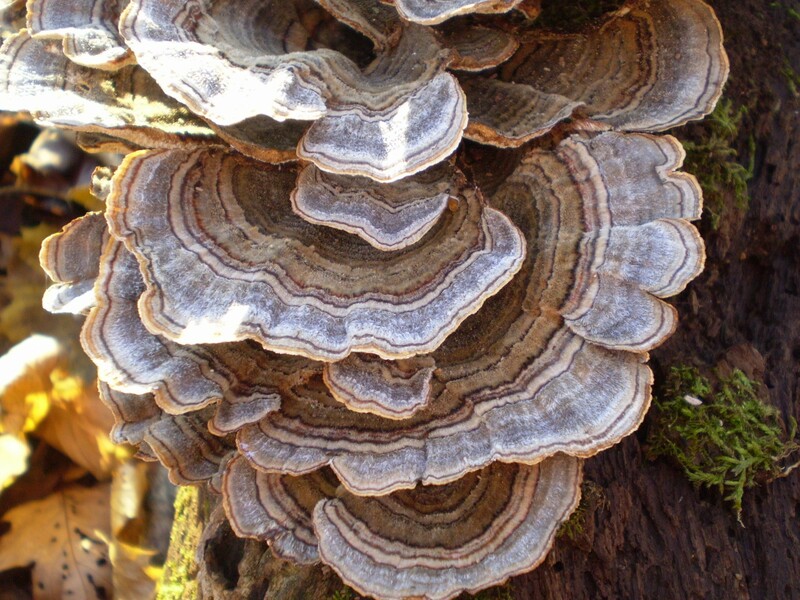 Interestingly, the birds seem to always use the same species of lichen, one that goes by the name of Parmelia sulcata. 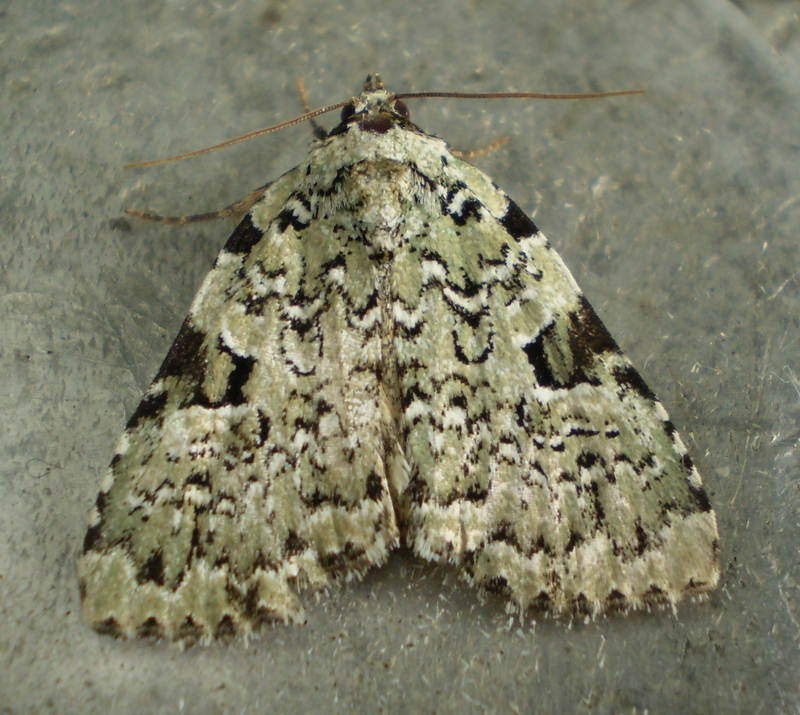 Parmelia sulcata is a light greenish-gray lichen with a leafy (foliose) appearance. 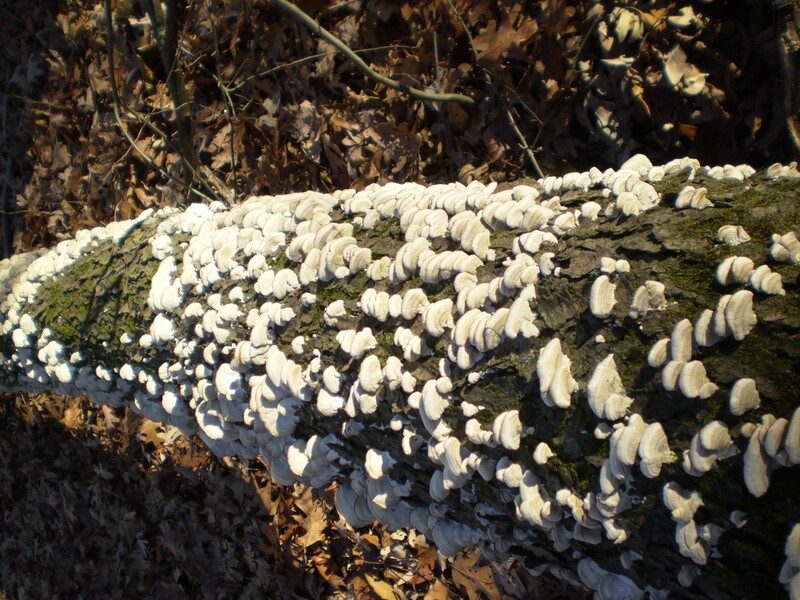 One of our more common lichens, it is often seen on the upper branches of trees, and was particularly abundant on the ash trees that died from emerald ash borer. I don’t know if the birds chose this species of lichen in particular or, being common, it is just found most often. It is also interesting that the birds seem to apply the lichens to the nest in an upright position, with the top facing outward, so they look like they could be growing on the nest. Come birding at the Garden! Take a birding class; join a group, and check your finds against our bird list. Although this process is fascinating, it is not restricted to hummingbirds. One of the other breeding birds at the Garden utilizes a very similar nest construction technique to hold its three to five small eggs. 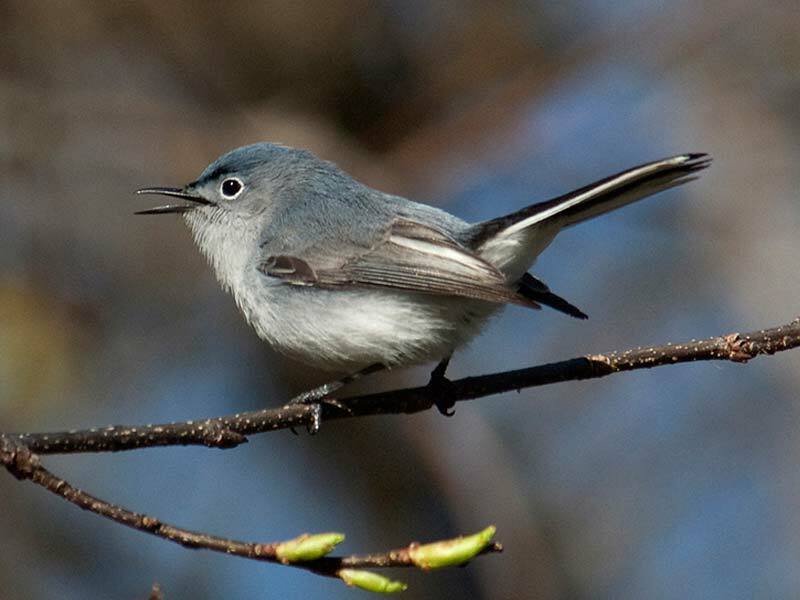 The blue-gray gnatcatcher, another tiny bird (that somewhat resembles a miniature catbird in appearance and sound), also constructs a nest out of soft plant fibers, including spiderwebs, and applies lichen to the outside of its nest. 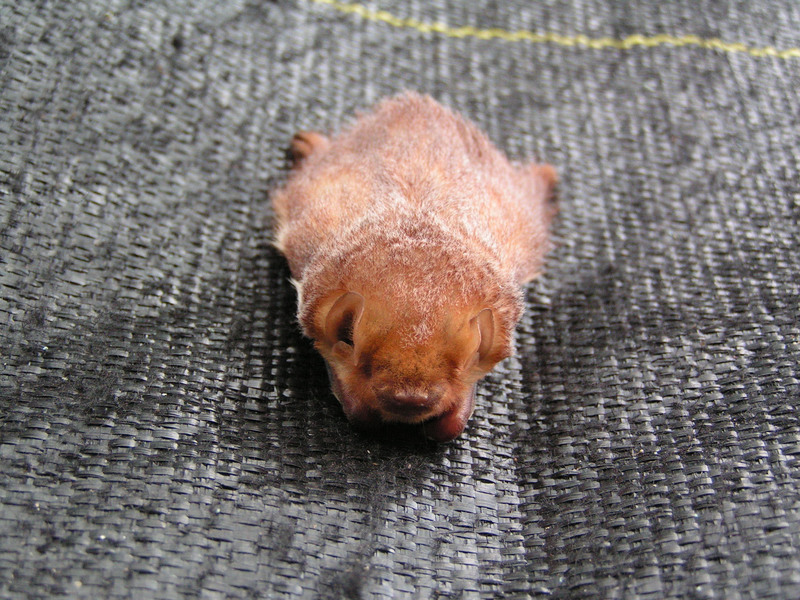 A nest of this species, a little larger than that of a hummingbird, was found on a branch of one of the locust trees growing in a Garden parking lot. 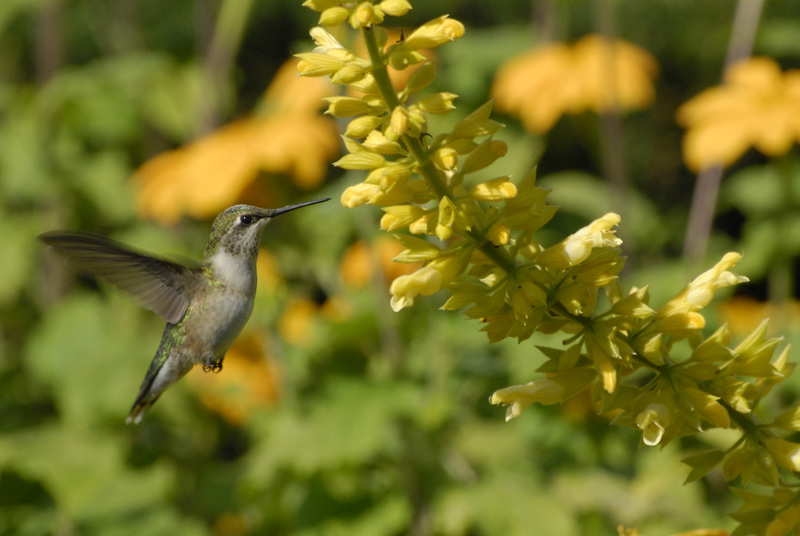 A female ruby-throated hummingbird (males have the ruby coloring) enjoys a sip of salvia nectar in Circle Garden in summer. A blue-gray gnatcatcher at the Garden; females look similar, but are less blue. 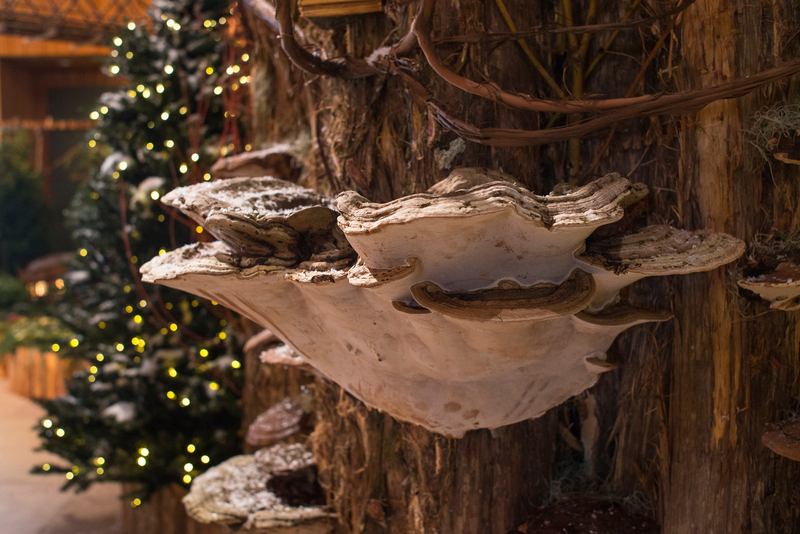 If you’re lucky, you might find the nest of one of these birds during the nesting season, but if not, keep an eye out for little bumps, lumps, and knobs on bare branches in winter. You might get lucky. Come #birdthepreserves with the Forest Preserves of Cook County. View our list of upcoming events for free events near you. What’s a Little Frass Flicking Between Friends? I am sure that most of you know what I am referring to when I say “leap year.” Although this is not a leap year, I am suggesting that we unofficially call 2015 “Lep Year”—“lep” being short for Lepidoptera (from the Latin “scaly wing”), the order of insects that includes butterflies and moths. It has probably been a decade or more since I have seen the diversity and abundance of butterflies and moths that I have seen this past spring and summer. These voracious Euchaetes egle caterpillars were shredding some of the common milkweed plants near the prairie at the Garden this summer. Lately, the butterflies have gotten the lion’s share of PR. In particular, the monarch butterfly is on nearly everyone’s radar, due to its precarious situation with dwindling wintering grounds and lack of larval food plants—the milkweeds. However, if you compare the two groups, butterflies and moths, the numbers of moth species outnumber the butterflies by more than ten to one in North America! In fact, there is a moth species that is also dependent on milkweeds—the milkweed tussock moth (Euchaetes egle). The caterpillars of this species are black and orange (a similar color combination to the monarch), and they usually occur in large numbers when you find them. The black-and-orange coloration signals to predators not to eat these fuzzy little fur balls. The main difference between butterflies and moths is that the moths, in general, tend to be rather drab colored and active at night while the butterflies are mostly colorful and active during the day. These are generalities since you can find very colorful moths, rather drab butterflies, and a number of day-flying moths. There are also structural differences most easily seen in their antennae. 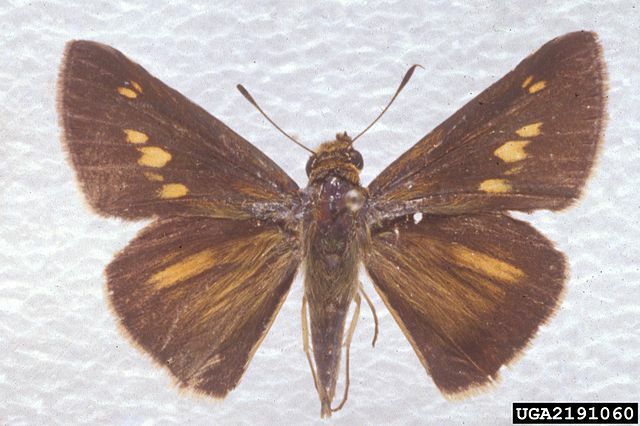 While butterflies have narrow antennae with club-shaped structures at the end, the moths can have either thread-like antennae that end in a point in females or fern-like antennae in males. The fern-like antennae of the males are used to detect the chemicals, called pheromones, released by the females when they are ready to mate. Some moths can follow these chemical trails for miles. Sixty percent or more of the diet of some nestling songbirds comes from caterpillars, and these are most certainly moth caterpillars. Moths are not only extremely diverse in shape and pattern, they also have a wonderful variety of common names that people have come up with to label them. 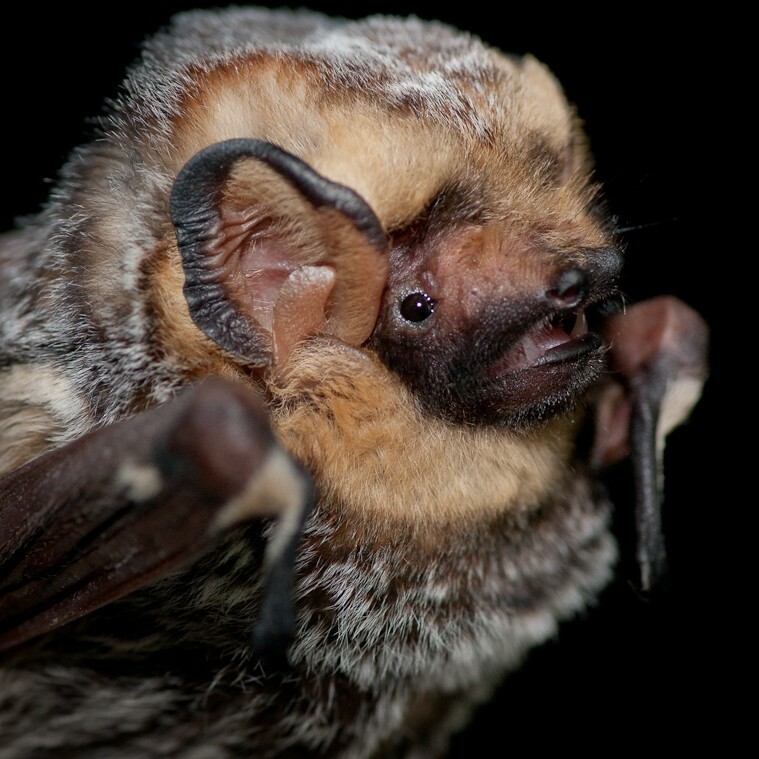 There are sphinx moths or hawk moths, daggers and darts, army worms and prominents, sallows and quakers, owlets and loopers, and marvels and bird-dropping moths. The names go on and on, some attempting to describe the adults and others the larvae. This brightly ornamented Cecropia moth caterpillar (Hyalophora cecropia) will turn into North America’s largest native moth. It is hard to say which stage of the moth life cycle is more impressive. Although the adult moths are so varied in their shape, size, and patterns, the caterpillars are no less amazing. Take for example the strikingly beautiful brown hooded owlet moth caterpillar. The brown hooded owlet caterpillar (Cucullia convexipennis) is a stunning specimen to find outside my office. 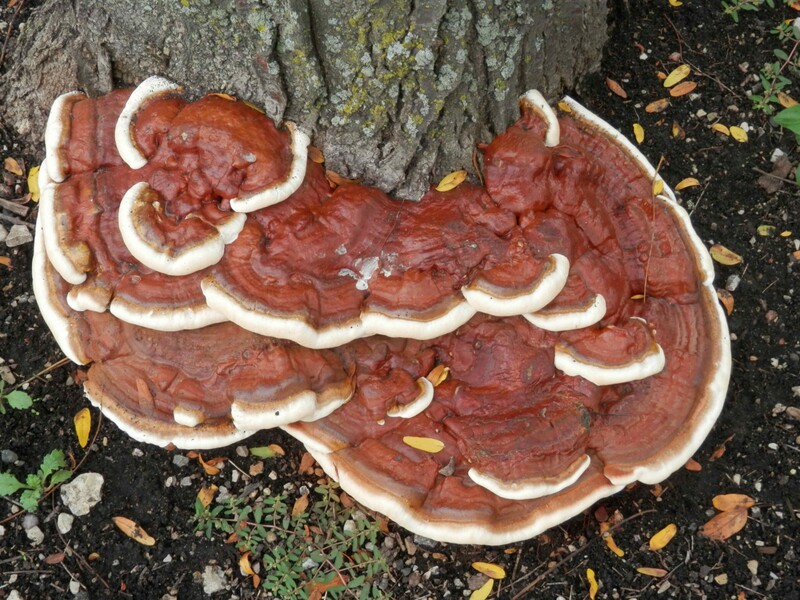 It would be difficult to find a more attractive critter anywhere, and here it was, right outside my office. Equally impressive are the huge silkworm caterpillars. 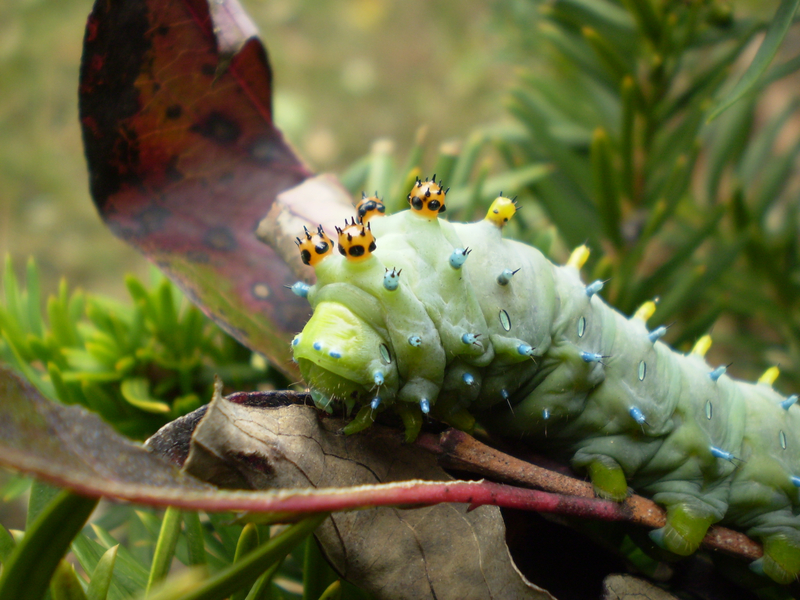 The Cecropia moth caterpillar (Hyalophora cecropia) is almost shocking, not only because of its massive size, but also because of the large orange-and-yellow spiky beads covered in black spots along its back and the smaller turquoise-spiked beads ornamenting its sides. 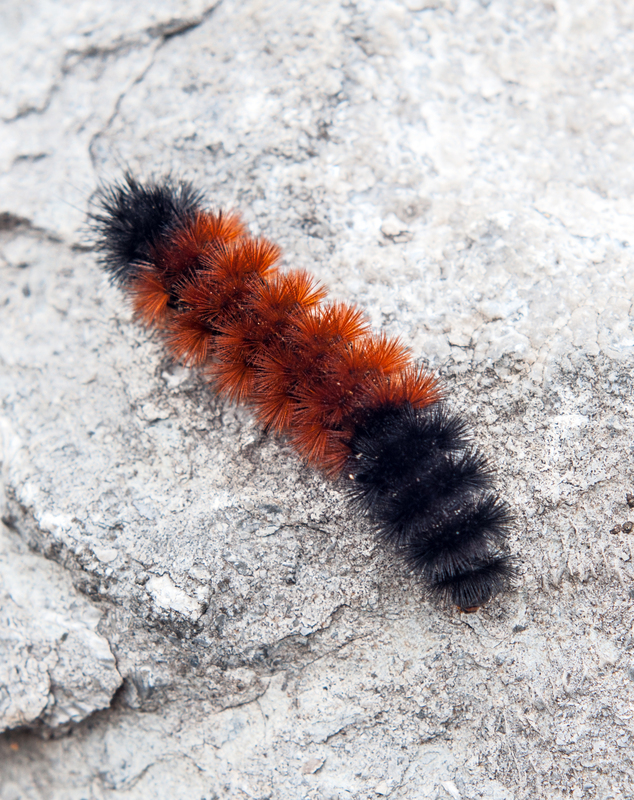 And who could talk about moth caterpillars without mentioning the infamous woolly bear? 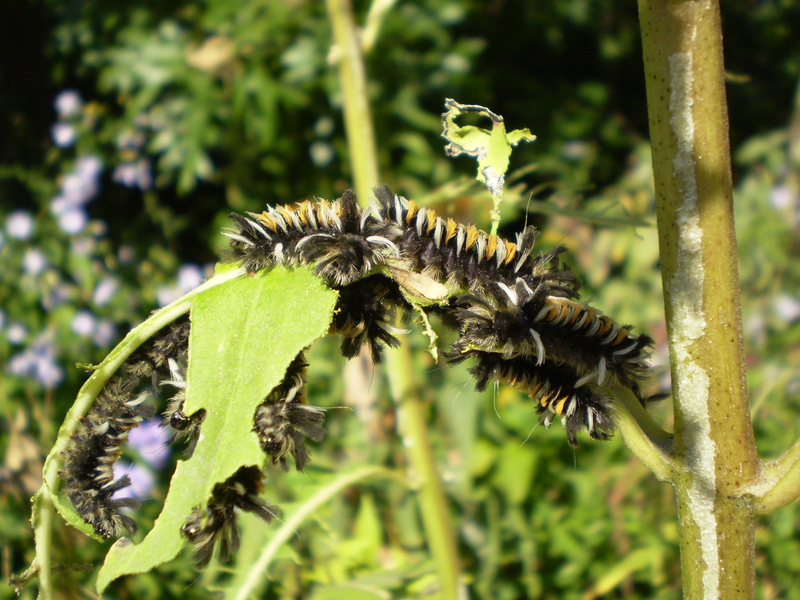 These orange and black-banded caterpillars are often consulted to see what the winter will be like. Unfortunately, the banding on the caterpillar has nothing to do with the weather, but at least it has gotten it a lot of attention. 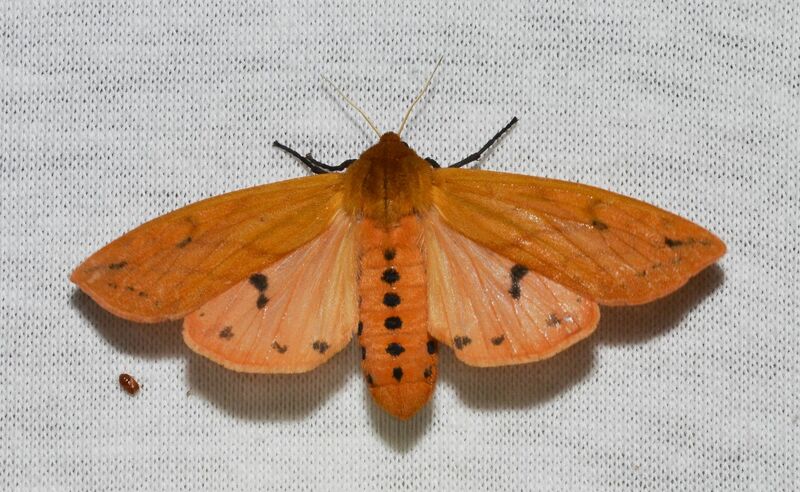 The woolly bear eventually turns into the bright orange Isabella tiger moth (Pyrrharctia isabella). The high diversity and nocturnal behavior of moths make it not unlikely that you might find a moth or caterpillar you haven’t seen before. The other day, while trimming my rambunctious Virginia creeper vine on the side of my house, I spotted an interesting caterpillar that I had never seen before. As a woodland ecologist I have experience with a lot of caterpillars, so it is always interesting when something new comes along. As it turns out, the caterpillar was the larval stage of an Abbott’s sphinx moth (Sphecodina abbottii). Although this was a new find for me, I still have not seen the adult moth. 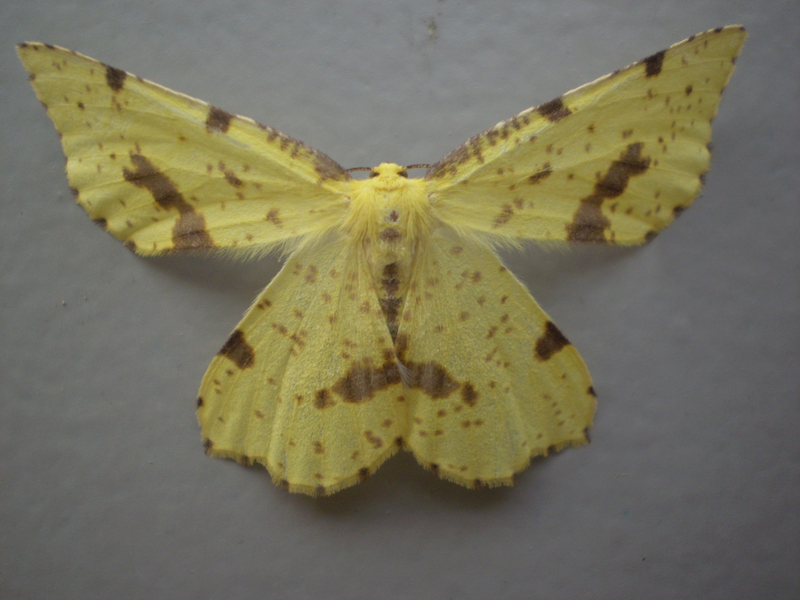 Every morning when I come into work, I check the wall outside our building under the light to see if any new moths have shown up during the night. 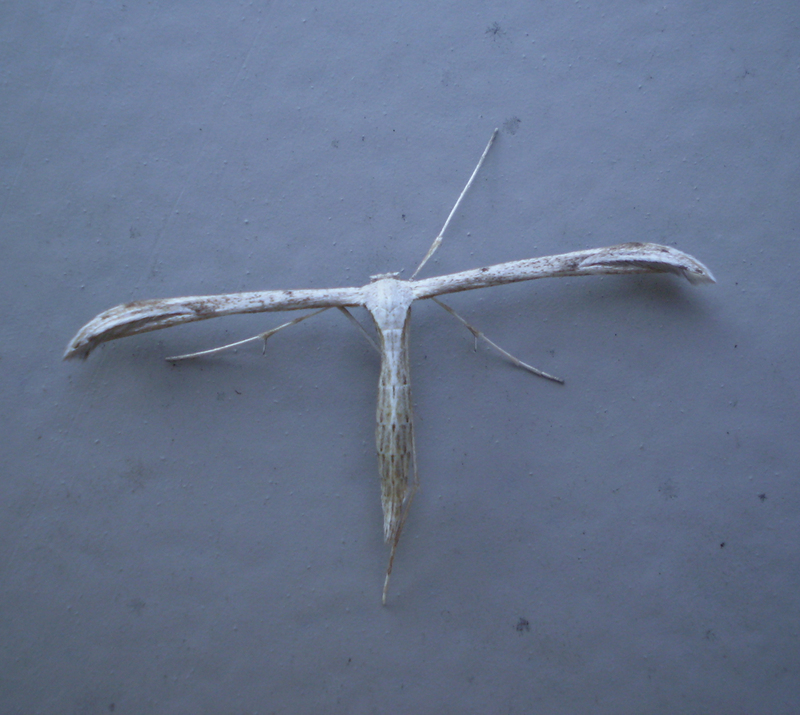 Some of the moths I have spotted this summer are the Crocus geometer, Colona moth, Ironweed borer, large maple spanworm, Ambiguous moth, green owlet, and one of the microlepidoptera, the morning-glory plume moth. Most moths do not live for very long as adults. Ironically, some of the largest moth species live the shortest lives. 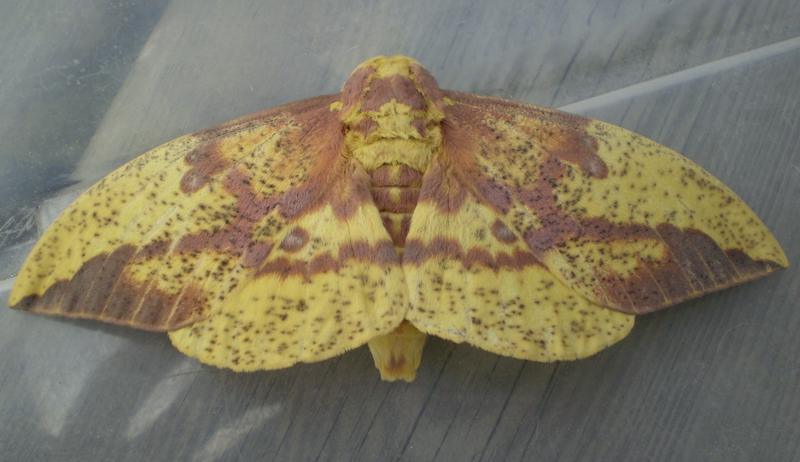 I had the opportunity to see a new species of one of these megamoths for the first time this summer when my wife brought home an Imperial moth (Eacles imperialis) that she found clinging to the window of the school where she works. The very large moths in the family Saturniidae (silkworms and royal moths) emerge either from the soil, in the case of the Imperial moth, or from one of the familiar large cocoons you can find attached to a twig, like those of the Cecropia or Promethea moths. 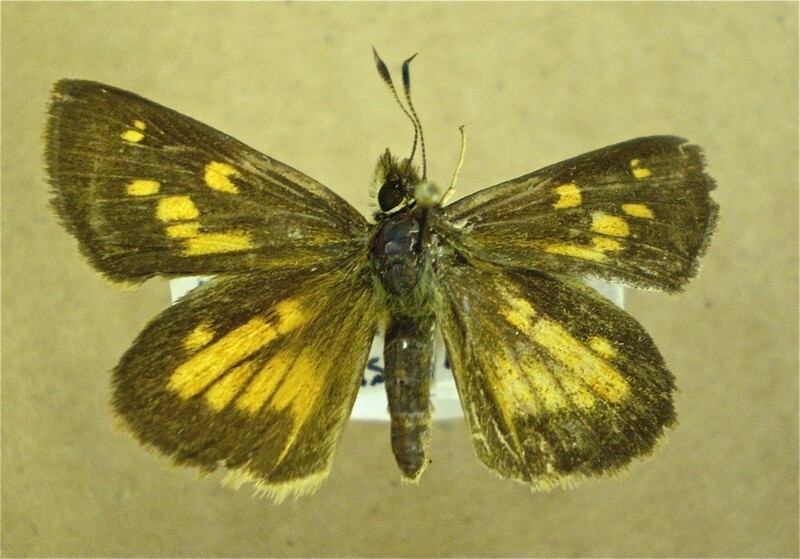 Since these moths do not have functional mouth parts, they are unable to feed, so they live off their stored body fat while searching for mates until they die, usually within seven to ten days. This Imperial moth (Eacles imperialis), had a 5-to-6-inch wingspan, and a body as big as my thumb! Interested in finding out more? Visit the Moth Photographers Group at mothphotographersgroup.msstate.edu or BugGuide at bugguide.net. 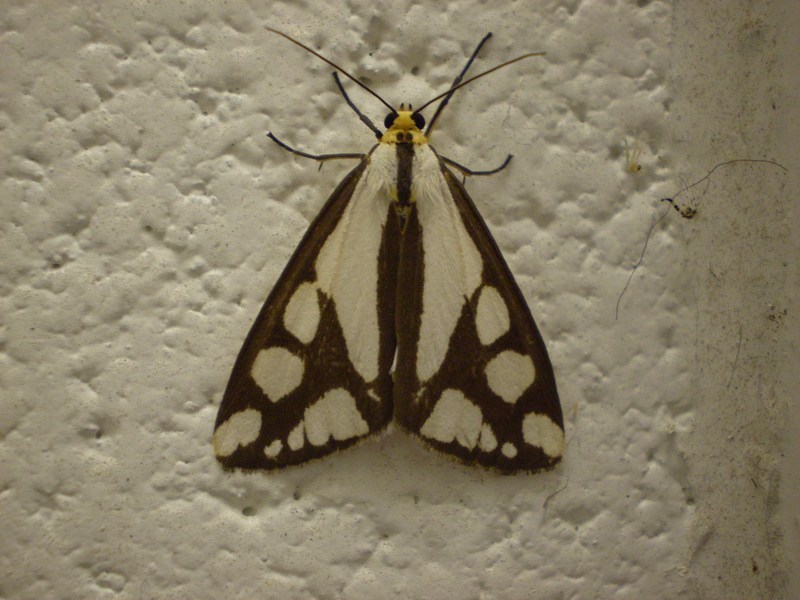 Another new species for me was the painted lichen moth. While removing Japanese beetles from my hazelnut shrubs, I spotted what looked like a large firefly. 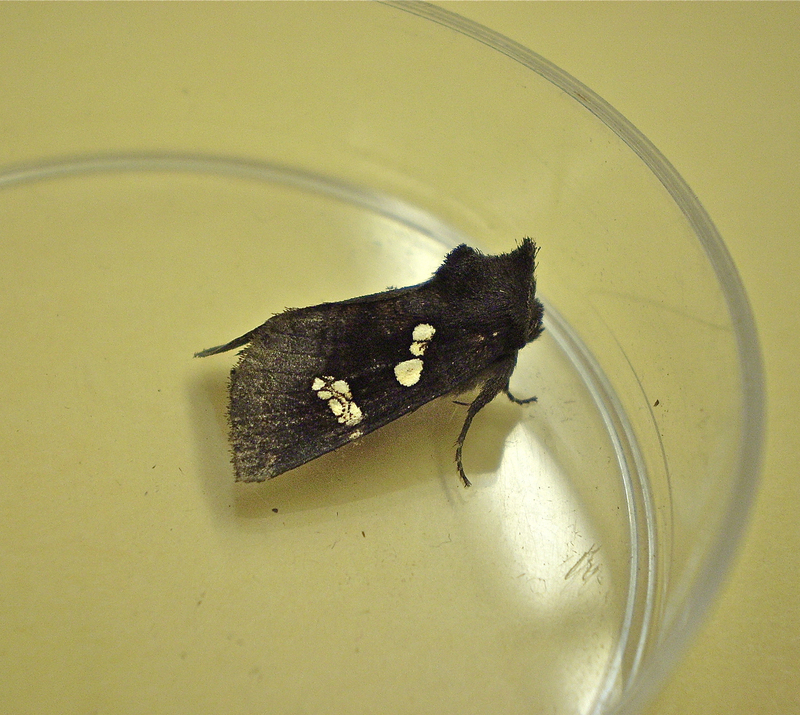 As it turned out, it was not a firefly at all, but rather a moth that mimics one. Since fireflies are toxic to most predators, the moth gets a benefit from looking like the firefly. Another neat trick they employ is a maneuver known as frass flicking. They are able to expel their excrement nearly a foot away from their body. This is important because some predatory wasps locate their prey by homing in on the scent of their droppings. There are a number of moths—or more accurately, moth larva—that are pests for gardeners. Almost all vegetable growers have run into cutworms at one time or another. Cutworms were given this name because of their habit of cutting off seedling plants in the garden. There are a number of cutworm species native to this country, but all develop into moths later in their life cycle. The white structures on this parasitized sphinx moth caterpillar are the cocoons of the braconid wasps. 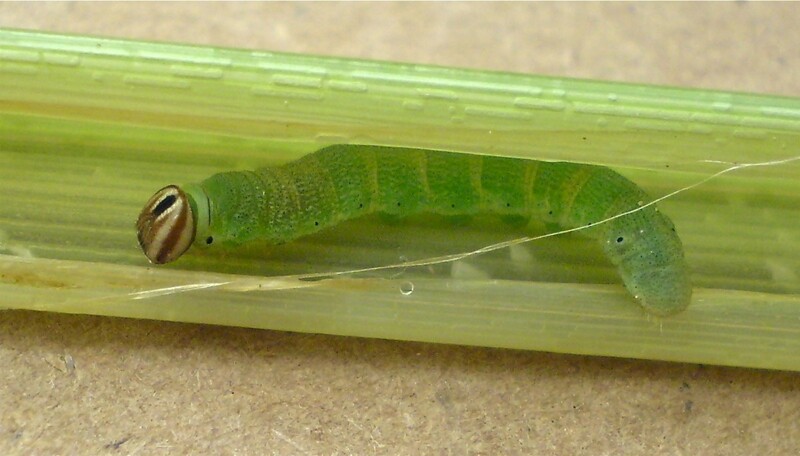 Another familiar larva is the tobacco or tomato hornworm (Manduca sexta). These are the large green larvae of one of our native sphinx or hawk moths. 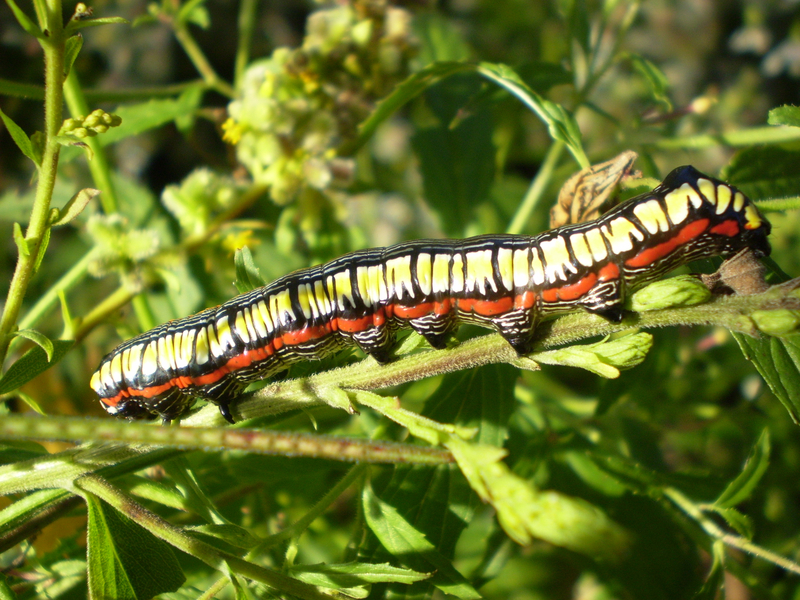 The Carolina sphinx larva is often found on tomatoes. Although they will rapidly chow down on tomato plant leaves, I generally leave them alone until they have had their fill and work their way down into the soil where they pupate to spend the winter. (I find that they rarely put much of a dent in the productivity of my tomato plants.) If you should happen to dig up one of their pupae when turning over the garden soil, they are a dark, shiny brown, pointed at one end, and have what looks like a teapot handle on the side that houses a long, curved proboscis. If you pick them up, you might be startled by the fact that they often times will swivel around at the middle—probably a predator avoidance behavior. 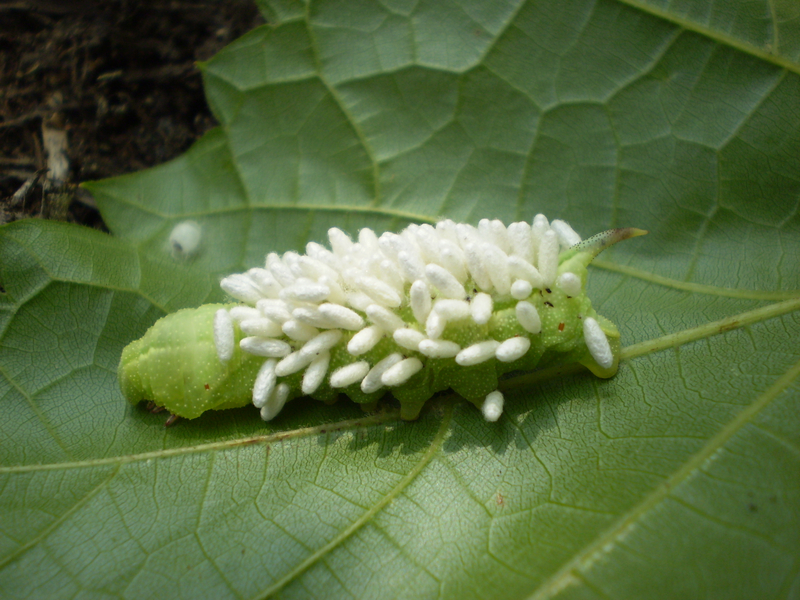 Tobacco hornworm and sphinx moth caterpillars commonly fall prey to braconid wasps, which parasitize them. Leaving these parasitized caterpillars in the tomato garden can be an effective method of pest control. 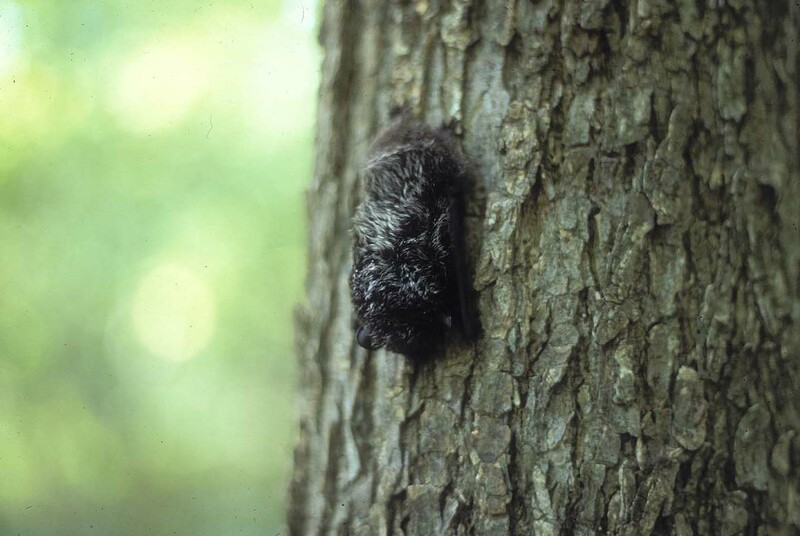 A more serious pest species is the introduce gypsy moth. 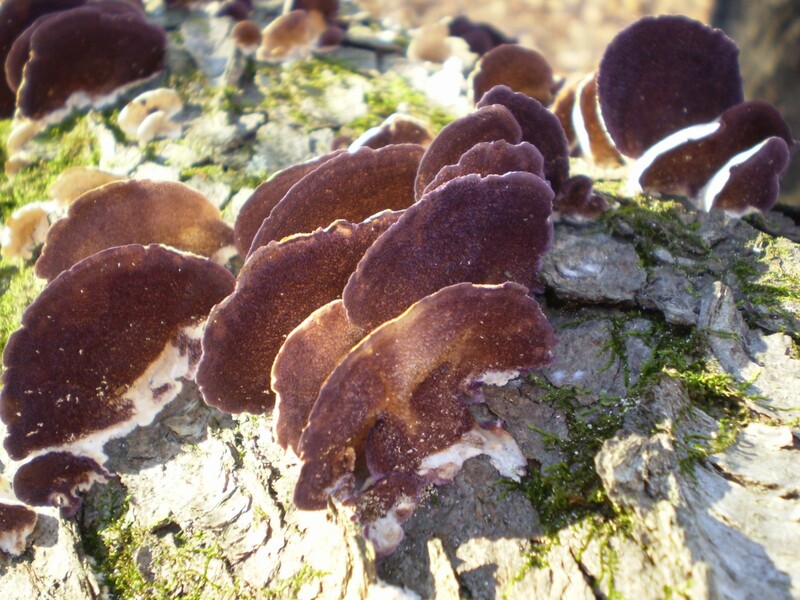 These moths occur in huge numbers and are capable of completely defoliating adult oak trees over large areas. 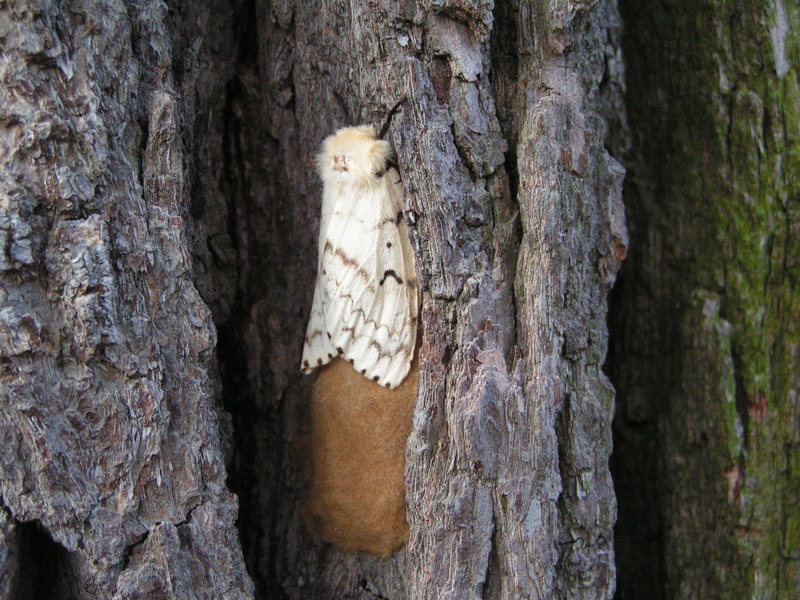 A few years ago, we avoided an invasion of gypsy moths at the Garden when hundreds of thousands of these moths, in Turnbull Woods forest preserve across Green Bay Road in Glencoe, succumbed to a cool, rainy spring. Join me and take advantage of this Lep Year—check out the yard lights, hedgerows, and flower beds, and see how many moths, caterpillars, and cocoons you can find! Photos ©2015 Jim Steffen unless otherwise noted. Posted on September 16, 2015 September 16, 2015 Author Jim SteffenCategories Ecology & WildlifeTags caterpillars, macro photography, moths, sphinx moth, tobacco hornworm6 Comments on What’s a Little Frass Flicking Between Friends?